Winter’s over and you’re spending time outside again when you notice your home is in need of some work (rotten wood, peeling and fading paint, etc). 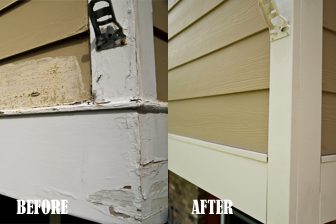 Earthly Matters Painting is much more than just a painting company… we specialize in exterior painting, interior painting, roofing, damaged wood repair & replacement, staining of decks & doors, and much more. 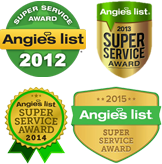 If you would like a free professional estimate for any or all of the above services to the interior or exterior of your home, please give us a call. We have a proud reputation of quick response to your request, detailed line item estimates, competitive pricing, and quality workmanship using quality paint & materials . . . all of which justifies many the repeat customers we have and the referrals they pass on to others. Our crews are staffed to cover all of your painting and related needs, including replacement of water damaged wood trim around windows, doors, etc. 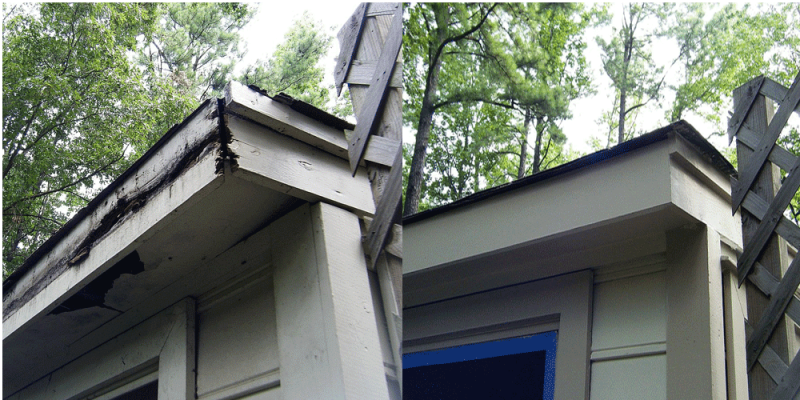 Wherever possible, we replace these damaged areas with either pvc or vinyl materials, which eliminates future wood rot problems. Pricing of these non-rot materials is very competitive to wood material replacement, without the “worry factor” of this happening again in the future. Inspect the bases of window sills and door frames, including garage doors. Fascia boards and soffits that make up your eaves are commonly susceptible to water damage when gutters are not working properly. Mold and mildew are two other related issues that, over time, can cause permanent damage to your siding, soffits, and fascia boards. Water on exterior walls happens all the time from precipitation like rain and snow. However, when gutters aren’t moving water away properly, the outside of the home can be exposed to water far more frequently, and in far greater volume. The number one thing mold and mildew need to flourish is water, so exterior walls below inefficient and broken gutters see much more growth.